Urban Meyer, right, receiving word from Jerry Emig that the College Football Playoff will reimburse players’ parents for some travel expenses. COLUMBUS, Ohio — Ohio State Coach Urban Meyer reiterated a theme on Tuesday that he had sounded loudly after the Buckeyes secured a spot oppositeOregon in the first College Football Playoff title game, to be played Monday. Players’ families, he said, should not have to pay to travel to Arlington, Tex., to watch those players compete for a championship. The $800 stipend that Ohio State planned to offer its athletes’ families out of its student opportunity fund was not enough, Meyer argued. “My family couldn’t go there for $800,” he said at a news conference. Less than a half-hour later, in emails sent within minutes of each other, the Playoff announced that it had received an N.C.A.A. waiver allowing it to reimburse parents or legal guardians for travel, hotel and meals up to $1,250 per parent, and the N.C.A.A. announced that as part of that pilot program, it would also reimburse family members up to $3,000 for semifinals and $4,000 for the title game during the men’s and women’s Division I basketball tournaments. 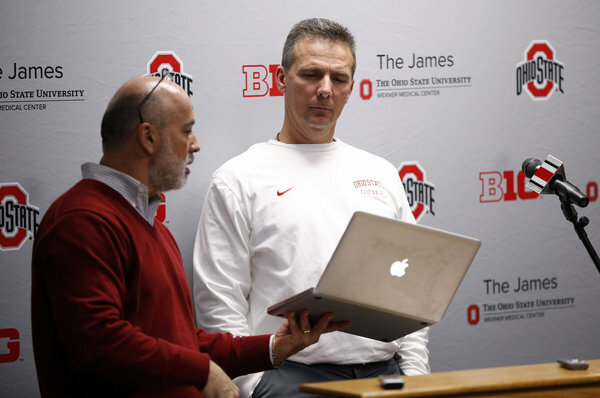 An Ohio State spokesman interrupted Meyer to tell him the news. The move is the latest concession by the N.C.A.A. in its running dispute with critics who contend that football and basketball players competing at the highest levels of college athletics deserve a bigger share of the growing profits. In recent months, a series of changes has set the course for a reshaping of the relationship between universities and athletes. The high costs for families to attend championship games have long been an issue raised by those calling for more benefits for athletes. Aided by outside criticism; by high-profile lawsuits like the Ed O’Bannon case, which sought compensation for the use of college players’ images; and by aunionization drive among Northwestern football players, college athletes have steadily won more resources from their colleges, conferences and the N.C.A.A. Last year, the association removed limits on meals and approved substantial autonomyfor the five major football conferences. At the annual N.C.A.A. 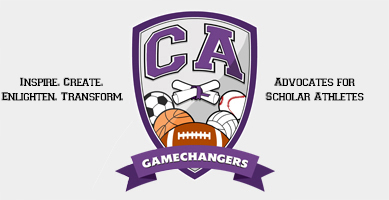 convention this month, those conferences are expected to approve giving athletes the full cost of attendance — an amount several thousand dollars greater than a typical scholarship. Tuesday’s announcement was notable in that the N.C.A.A., confronted with a call for change, responded without consulting its membership and assumed costs to benefit players. What allowed the N.C.A.A. to authorize the pilot program without new legislation, Lewis said, was the fact that it will not involve individual universities reimbursing families. Rather, College Football Playoff L.L.C., which is owned by the 10 Football Bowl Subdivision conferences and Notre Dame, and the N.C.A.A. will write the checks. It is up to the universities to verify which families are eligible for reimbursements, according to Smith. The N.C.A.A. estimated that covering the expenses for parents or guardians who travel to the men’s and women’s Final Four would cost $300,000 to $350,000. The N.C.A.A. is in the midst of a 14-year broadcast deal for the men’s tournament that is worth $10.8 billion. The playoff’s 12-year broadcast deal is worth $7.3 billion. The N.C.A.A. does not administer the championship in football’s top division, which is why the Playoff will reimburse families. “In essence, the organizer of the event is paying for it,” Lewis said. Smith credited the “shift to a more student-athlete welfare benefit culture” for paving the way for reform. The next step will be to pass legislation, which Ohio State and Oregon have pledged to introduce, to make the pilot program permanent. Such legislation would quite likely have to go through all of Division I’s roughly 350 members. But Smith said he would prefer that the legislation be passed by all the universities acting in concert. Some universities with fewer resources have opposed giving athletes more benefits, citing financial constraints as well as the principle of amateurism. A few years ago, a controlling minority of Division I institutions narrowly defeated a proposal to allow a $2,000 stipend to athletes. In August, two of 18 presidents on the Division I board of directors, representing the Colonial Athletic Association and the Ivy League, opposed autonomy. Lewis said reimbursing families for travel expenses would not push big-time college athletics further toward professionalization.